With the darker night’s drawing in far too quickly for my liking, you may well be looking at ways to make your home more secure. October is National Home Security Month, with great tips and advice on how to keep your home, family and possessions safe. This week’s tips offer advice on outdoor security and the importance of securing outdoor possessions such as shed and outbuildings during the darker evenings. Installing windows that have key locks is the safest way of securing your property – not only do locked windows provide peace of mind, but double glazed windows are also more efficient at keeping the heat inside of your property. If you are based in Manchester, like myself, companies such as Reddish Joinery offer double glazing in Stockport and surrounding areas. A third generation, family run business, the team at Reddish Joinery offer a 100% personal and bespoke service, whatever your glazing requirements. Home alarm systems are reasonably priced these days and you can even install them yourself with kits available on the market. If you do already have a home alarm installed, regular maintenance will ensure it operates correctly. Prices vary dependent on the system you choose and the amount of cameras required, however a CCTV system offers total reassurance of home safety. Technology has developed so much that some systems allow you to access your cameras via your phone, laptop or tablet when you are out and about. Home security is important all year round and the tips above will offer long term security options to your home. 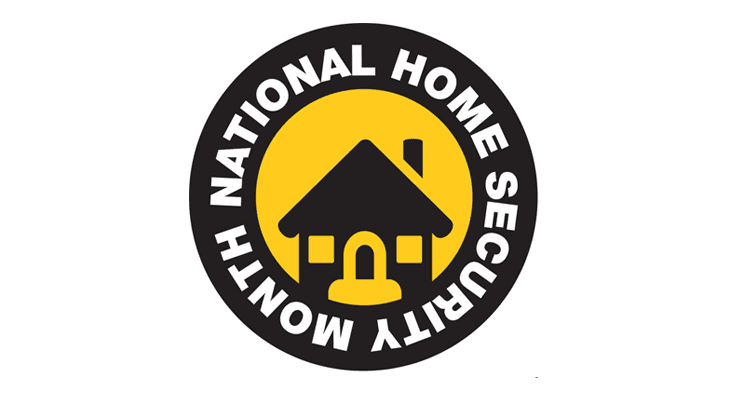 Though keep checking on the National Home Security Month website for more handy tips throughout October.